Albert Hughes and his twin brother Allen exploded on the world’s filmmaking scene in 1993 with their kinetic, near-documentary style gangsta tale Menace II Society. Menace earned critical raves and a healthy $23 million at the box office despite taking a largely neutral attitude to incredibly horrible situations. The Hughes Brothers (as they prefer to be credited) returned in 1995 with Dead Presidents, a film that once again seemed morally bankrupt yet skillfully made as it followed the tale of black radicals who became bank robbers to finance their activities. In 1999, they emerged with the entertaining yet once again amoral documentary American Pimp, detailing the garish and misogynistic exploits of America’s most prominent pimps. But after 2001’s From Hell, the Hughes Brothers seemed to disappear. Now, they’ve emerged after nearly a decade outside of movie theaters with The Book of Eli, in which Denzel Washington kills a lot of people while trying to protect the last Bible left on a post-Apocalyptic earth from the clutches of Gary Oldman, who wants to twist the Bible’s words for use in building an evil empire. 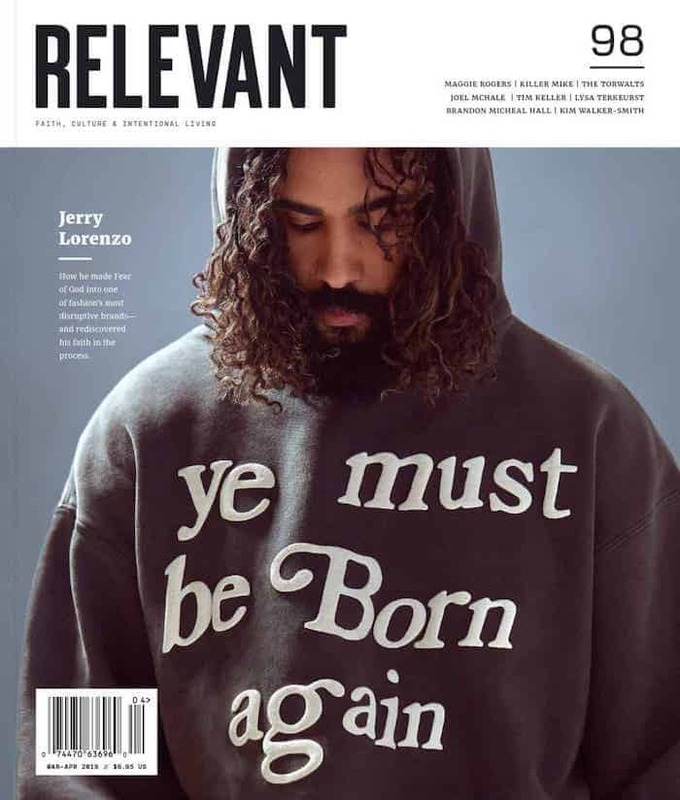 Albert Hughes recently sat down with RELEVANT to share his thoughts on The Book of Eli, which may very well be the most unique Christian film ever to be released by a major studio. The Clint Eastwood western A Fistful of Dollars seemed to influence the action of the plot. There’s some uncanny turns the film takes that the audience might say "this is not normal." Those first three Sergio Leone films with Clint Eastwood are in our blood. This is written as a post-nuclear Western, so the frames and the emotional frames that resonate through Ennio Morricone’s music come up as well. It’s an interesting twist though because in the Leone films the action scenes are always external in the landscape, and your movie moves the action interior, into the insides of the buildings. Was that a conscious decision? I think the only scene that was consciously that way was [a battle under] the underpass, going into the darkness to get the silhouettes. It was really because we always have trouble with the ratings board, getting rated NC-17, so we decided let’s move into the shadows so we can get away with murder literally this time. As we’ve gotten on in our years a little bit, we’ve learned a little [about] critics and the MPAA say From Hell. With this one we decided let’s not be gory or too graphic. Violence is alright, or we can be visceral—so I induced a stomachache anytime there was anything gruesome on screen because I was thinking of the average person in the audience and their threshold for it. So I tried to make sure lighting didn’t hit it so you didn’t see everything. I induced a stomachache and made my brother feel that way too because we don’t wanna be making gory movies. The last part of this movie, where he’s laying down and reciting the Bible—the way that sounds and builds—that’s what I represent. Can you talk about the decision to not explicitly lay out what the events were that led to what we saw in the film? It has to do with the whole spirit behind making the movie. Though the Bible is in the movie, it’s not about the Bible. It’s about one man’s faith and his purpose, and it happens to be that it is the Bible, and now that we’re talking about the Bible, the whole crux of the movie is how one man can take those words and do harm by oppressing people, and how one man can set himself free and find enlightenment. We made the film, whether it was sonically, visually, in the dialogue, the information you get—we wanted people to see what they want to see, and believe what they want. If you break it down, it tells you what happened, but if you don’t want to believe that, it didn’t happen. When you read anything with any depth it’s like that. The movie is about the Bible—even with wise men and women like Nostradamus, a lot of truth is hidden between the lines because of social, civil, political, religious aspects of certain eras when there were certain things you could not say or be hung up, so you had to spin it. The movie includes a line that says ‘They burned the Bible because some people thought that book caused the war.” What’s that about? Some people felt the Bible started the war. Maybe it was the Muslims, maybe it wasn’t. Maybe the Chinese government, maybe it wasn’t. But it was only some people. You get into a quagmire there. It’s that one word: “Some.” But most people won’t pick up on that. They were burned because this is what people thought caused the war, so they were all burned, when he said some. It’s how we want to process this: The Bible or any sacred text—Torah or Koran. What is it we really wanna see? You hear what you wanna hear, when and how you wanna hear it. That’s what I believe. At the end, Denzel said in his mind, when Solara [Mila Kunis’ character] walks out the gate she’s carrying a print of the Bible with her to carry on Eli’s work. But image-wise it’s unclear, so the person could also say she’s just going out with a machete and not the Bible. There was a version where it was visual that she takes the Bible, reading it and puts it in her bag. But it’s a fine line. Now we’re making it an overtly Christian movie. What’s critical for me and my brother is that it speaks to everyone. It’s a blessing for Christians that it happens to be the Bible in this movie because we show a positive righteous character, but at the end of the day I’d like the atheist to accept the blessing, the native American, the Buddhist. That’s why I was careful that all those sounds, spiritual frequencies from those different religions are all through the movie. There is a oneness that we all need to embrace, that best idea of Rome, we’re all gonna be here as long as we’re gonna be here, so let’s not split hairs—God hairs I call them. When I talk with Denzel and his wife, when we talk about God we’re talking about the same God. My brothers’ gotten this way too, but I’ve gotten past the point of worrying if someone loves my film. At the end of the day, what’s important is instituting a debate and that you question things. That’s why you’ll never see us make a big comic book fantasy movie. I don’t know if you can do that and touch people. Even making From Hell, we were making a film that really meant something to us speaking about class systems. You said that true character emerges when everything is stripped away. Can you expand on that? When you meet a woman or man, are you meeting the real person in success or in failure? I don’t even know if there’s a debate on that one. You’re meeting the real person in failure, because in trying times they stand up and the rest fall. My ex-girlfriend said "you have trust issues" and I said, "no sweetie we’ve only been together a year wait ‘til we go to war, lose a house, have a dog hit by a car, then we’ll know how much we really love each other." True character comes out in trying times. There is no testimony without test.